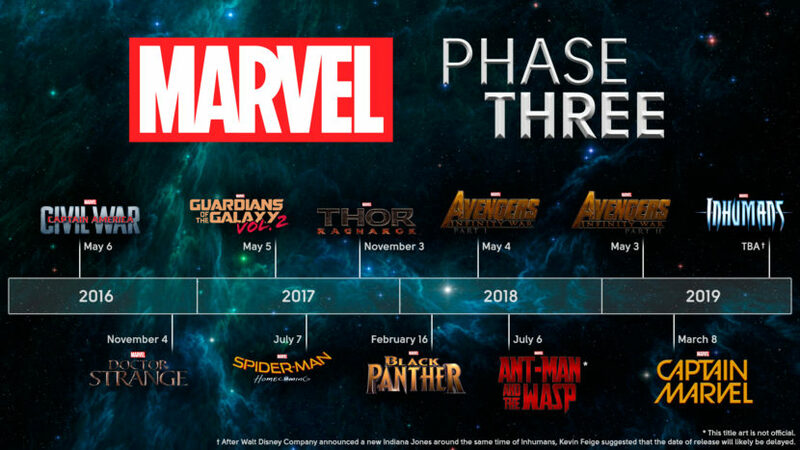 Over the last 10 years, the Marvel Cinematic Universe has kept us occupied and mesmerized with some of the finest movies ever to have released in a decade. And with the release of Avengers: Infinity Wars right around the corner, viewers might be wondering which of these movies are better than the rest, and how are they ranked in terms of storyline, acting, viewership and box office numbers. So today, we are going to take a look at the top 10 MCU movies, ranked on the basis of these factors. Read on to find out more. The latest addition to Phase III of MCU, Black Panther truly revolutionises the art of modern film making with picturesque locations, albeit green screen, fantastic action sequences, a strong storyline with depth, and quality acting. Black Panther has also achieved the honour of being the highest grossing MCU movie ever. James Gunn brought us the galactic version of the Avengers in the form of Guardians of the Galaxy some four years ago. It was a unique movie in itself, with retro pop songs playing in the background, fantastic character selection, sparkling and picturesque space battles, and a funny Chris Pratt. Guardians proved once and for all, that an MCU movie run successfully even without the Big Three (Stark, Rogers, Thor). Ten years ago, Robert Downey Jr. donned the first Iron Man suit, which gave birth to the Marvel Cinematic Universe. Iron Man was an exemplary comic book movie, and the first of its kind, which gave comic book movies a whole new direction to follow. And on top of that, RDJ was excellent as ever in the role of Tony Stark. After Thor: The Dark World, Thor needed a major change in presentation, story-telling and overall character growth. Taika Waititi came on board the MCU train and gave us Thor: Ragnarok, which was truly a marvel from Marvel. The movie is action-packed, hilarious and comes with a deep storyline as well. Phase III of the MCU has brought us quite a few fantastic releases, and Ragnarok is definitely one of them. Captain America: The First Avenger performed like a dream on the box office, but The Winter Soldier was a disaster in terms of direction, story, acting, and definitely the ending. But the Russo Brothers revived Steve Rogers’ character with the Civil War storyline, which marked the beginning of Phase III of the MCU. Civil War was basically an Avengers movie, minus a few Avengers, but still an enjoyable sequel. The best ever superhero team up movie to have ever released – The Avengers was truly a marvellous film in terms of character development, direction, storyline, and CGI usage. The movie was both ambitious and impressive, and paved the way towards a bright and ever continuing future for the MCU. Plus, the movie gave us Thanos, and we lost our minds. After Tobey Mcguire and Andrew Garfield, Tom Holland was a welcome change as Peter Parker in Spider-Man: Homecoming. There have been five Spider-man movies before this one, but this was perhaps the first movie which gave the supporting characters an in-depth storyline to act out. Plus, Tom Holland was fantastic as the superhero from Queens. The Winter Soldier maintains its reputation as a complicated and confusing sequel to The First Avenger, something that has become a habit for MCU movies. Similar to Iron Man 2, Thor: The Dark World, and Guardians Vol. 2, The Winter Soldier was a fiasco, as said earlier, and the ending of the movie sealed its fate. Although the storyline was a bit confusing and could not be deciphered by the crowd, Doctor Strange was an enjoyable addition in Phase III of the MCU. Benedict Cumberbatch’s American accent was somewhat impressive, but his acting as a mystic superhero was fun to watch. James Gunn wanted to make this movie bigger than the first one, but the movie ended up as a major commercial failure, with viewers offering mixed reviews all over the world.